Sorry I have been a little delinquent from blogging! My mom has been visiting and this week we took a side trip to Hong Kong. I have been to Hong Kong many times for business but really haven’t visited many of the tourist sites as I haven’t had time, but since my mom has never been to Hong Kong we decided a little side trip was needed. So first off, the flight from Seoul to Hong Kong is a little over 3 hours, it’s so close! There are quite a few airlines that fly to Hong Kong, but I decided to book the budget korean airline – Eastar Jet. Our flight was less than 200,000 won round trip. Eastar is really a no frills airline, no meal during the flight and they really only offer you some water. You are of course able to purchase some food and drinks from them if you so desire. However, in addition to being inexpensive, they do not charge for a checked bag (up to 15 kg). So on to sightseeing. 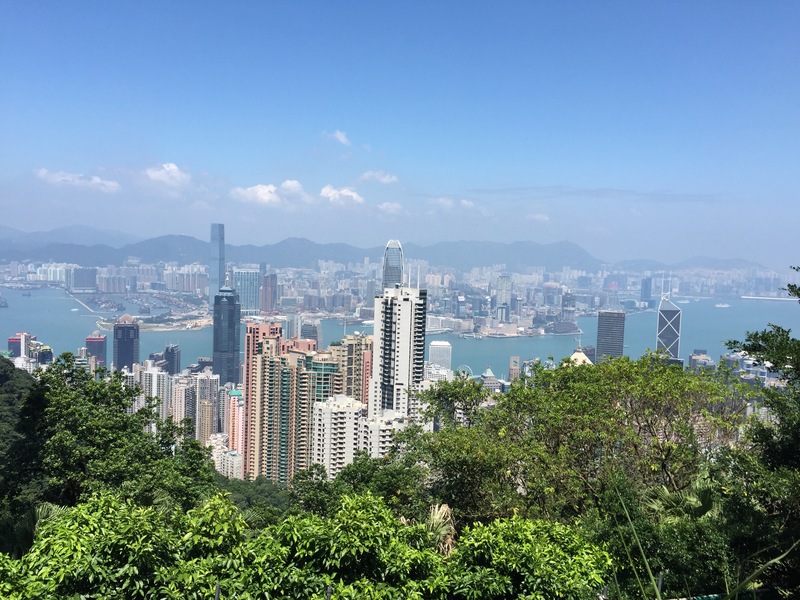 In addition to eating your little heart out in any of the multitude of restaurants that Hong Kong has, one of the must do things is visiting Victoria Peak. From there you can see much of Hong Kong from a great vantage point. 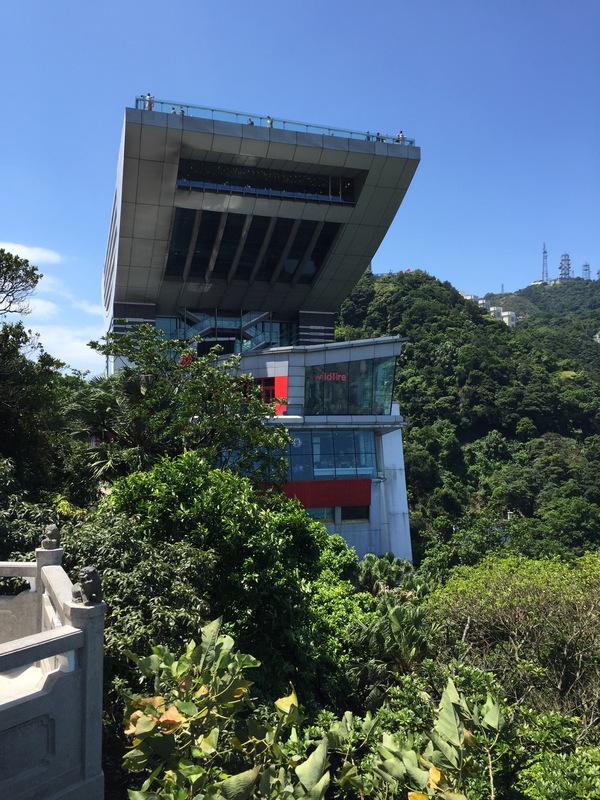 We took a tour bus up, but many people take the tram that is near the Central MTR station and some people even hike up to the top! If you take the MTR, you will take exit J2 of Central Station and go to the ground level. Then turn right through Chater Garden, cross Queen’s Road Central, and continue up Garden Road. We ended up taking the Tram on the way down, it is an interesting experience. 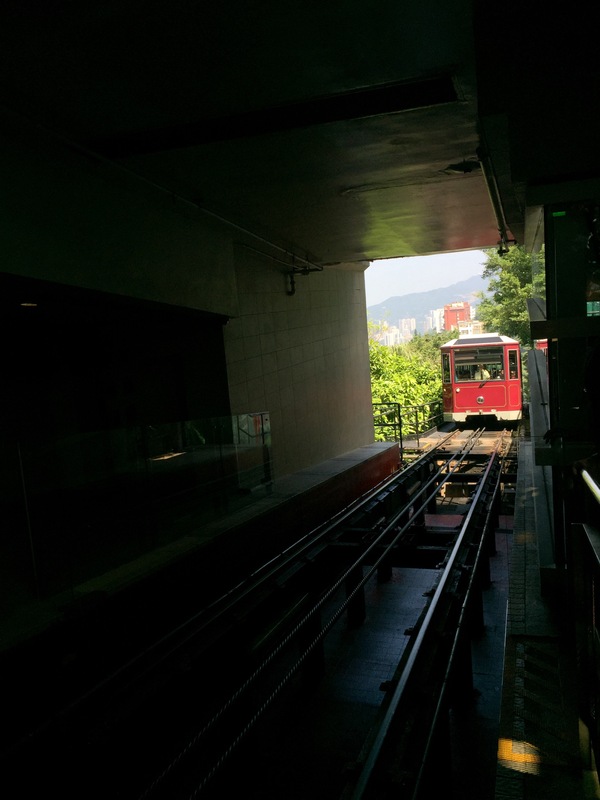 Note that the tram tracks are placed on an extremely steep incline and on the way down from the peak, you are facing forward while the tram rolls backwards (not necessarily good for those who get motion sickness). Tickets are $28 HKD for an adult single trip ticket or $40 HKD for an adult round trip ticket. 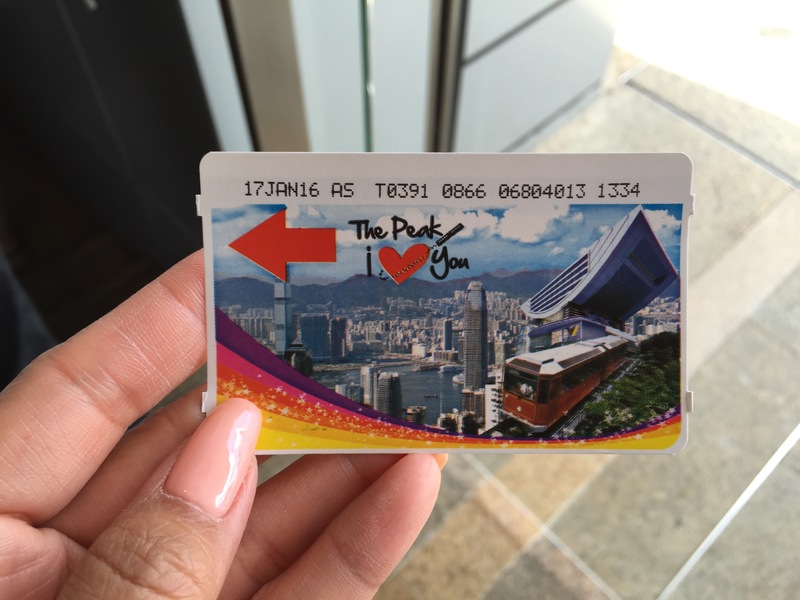 If you have an octopus card (Hong Kong MTR transit card), the fee is $28 HKD for the first trip and $14 HKD for the second trip. The tram runs from 7 AM until midnight every day. Prior to the tram services, which started in 1888, the only way to reach the peak was by private or hired sedan chair. You can imagine how long and slow that journey was. 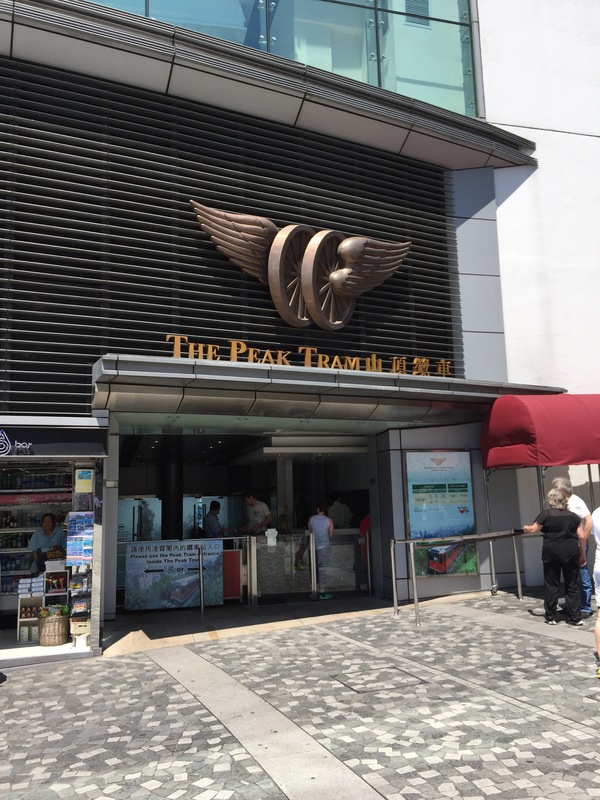 So enough about the tram, let me tell you more about Victoria Peak. Victoria Peak is 552 meters and is the highest peak on Hong Kong Island. Before the telegraph was invented, the peak was used by workers to notify the port of inbound ships. People also began populating the area around the peak as before air conditioning, it was much cooler to live up there. Then after the tram opened up, the development of the area really boomed. Nowadays homes that are up on the peak are highly coveted and are sold for huge sums of money. While you’re up there if you just want to rest a bit, there is a huge complex with are restaurants and even a rooftop terrace. 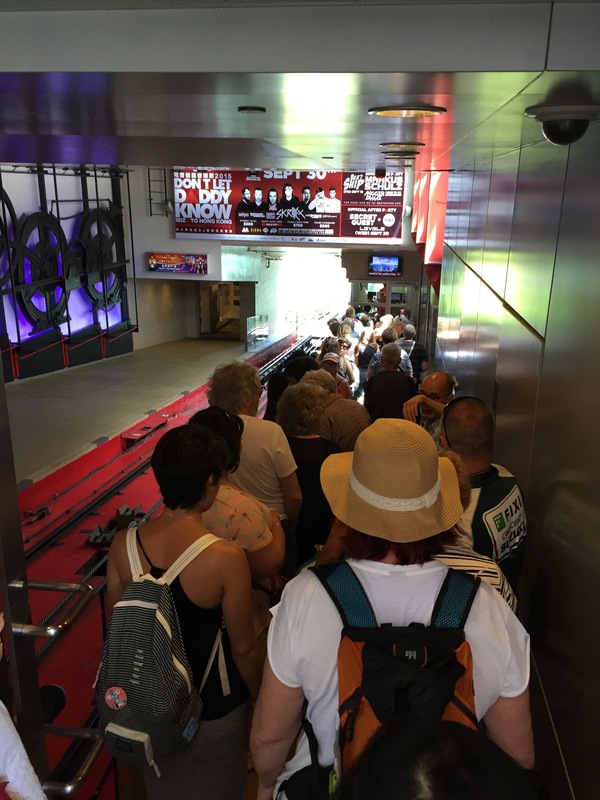 Note that prices for food and drink will be more than if you ate back near the bottom of the tram. Also there are some shops available for you to visit as well. The peak is definitely a nice place to visit and soak in the scenery. We were very lucky to have a pretty clear day!